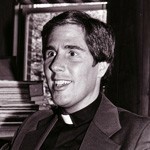 Shortly after his untimely death in 1989, Univer­sity of Portland president Rev. 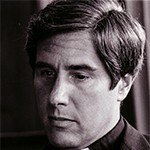 Thomas C. Oddo, C.S.C., was memorialized by faculty, staff, students, and friends with the establishment of an endowed scholarship fund named after him. Every year the University awards scholarship funds in Fr. Oddo’s name to one or two students who meet a set of criteria which includes demonstrated commitment to service and to service learning. Nominations are welcome at this time for the next awards to students, and are due by March 18, 2016. A nomination form is available at http://tinyurl.com/m936kyp. A nomination form is available at http://tinyurl.com/abu4o2m and is due to Theresa McCreary, campus ministry, by 4 p.m. on Friday, March 29, 2013. For more information contact McCreary at 7131 or mccreary@up.edu.